At DBS, we take great care in leaving each job clean, neat, and free of any damage to your existing landscaping. At DBS we specialize in fixing foundation issues of all types, including problems related to severely bowing, buckling basement walls. Our foundation repair products include written warranties on both the products and our services for you. 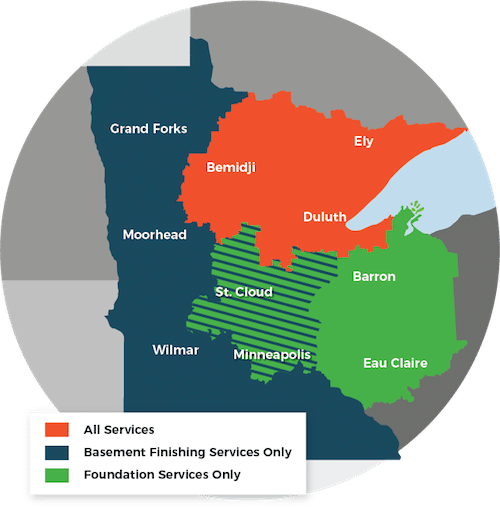 We proudly serve Minneapolis, Superior, Duluth, and many other parts of Minnesota and Wisconsin.